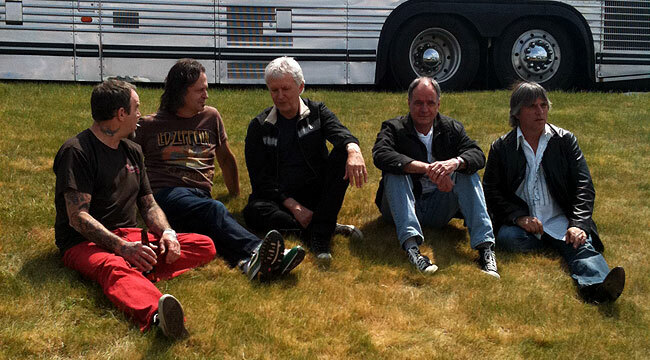 When we saw Dayton’s Guided by Voices play a farewell tour in 2004, we figured that it was it. Each show was epic in nature and we didn’t think frontman Bob Pollard had it in him to tour and record with the same regularity. We figured wrong. Pollard reunited the classic” line-up (guitarists Tobin Sprout and Mitch Mitchell, bassist Greg Demos, and drummer Kevin Fennell) in 2010 for the 21st anniversary of Matador, the label that gave the band its big break. The guys have subsequently toured and released two albums (a third is on the way), and we talked to drummer Kevin Fennell who spoke via hone from his Columbus, Ohio home about the band’s revival, for a weekly paper that will only print a portion of our interview. Here’s more of the discussion. How surprised were you when Bob Pollard called you about playing the Matador anniversary concert? I was very shocked. When I first moved to Columbus in 2008, I ran it by him and asked him about putting the band back together. He had been doing his solo stuff and said he wasn’t interested. I told him that if he ever changed his mind to count me in. When I got the call, I was pleasantly surprised. What was that show like? Because we had played together for so long, it was like riding a bike. We all know each other. Bob’s writing has really evolved. I was nervous and it had been years since I played in a band setting. I was worried I would not have my chops. But it all came together. And what about the drinking? I don’t drink at all. I’ve been sober for 15 years. I was always the sober one. How do you put up with the drinking? I don’t know. Years ago, in my twenties, I had to through rehab. I have more tolerance for people and I accept them where they are. I like being the one that they can slip the keys to at the end of the night. They never get so tore up that they get nasty. It’s all in good fun. It would be different if they started getting nasty. When they drink, it’s not a problem for me at all and never has been. When and how was it determined that this line-up was the “classic” line-up. I don’t know who came up with that. I don’t know how we got tagged with that. That wasn’t necessarily our idea. But we are the original line-up, especially me, Mitch and Bob and Tob. That is the nucleus. We always had floating bass players but Greg was the more constant bass player. Whenever we had work to do, it was always Greg that got the call. This is the original line-up. Original is more accurate than classic. Did you ever think the band would last for 30 years? When I left in 1997, I always hoped it would continue on. I knew Bob had a lot of songs left in him. It doesn’t surprise me at all. As long as Bob is breathing, he’s going to be writing songs. That’s what he was born to do. I know you came close to having that big hit song but it never quite happened. How frustrating has that been? I can’t speak for Bob, but I’ve talked to him enough to know that there’s a part of him that is measured by that. People think that if you haven’t had a hit, you can’t possibly be any good. That’s especially true in the town we grew up in. The first thing people say is that “I don’t hear you on the radio, so you can’t be that big.” We wanted to shut those people up so they know we are capable of having a hit. Now, we’re at the age and at a place in our lives where it doesn’t matter anymore. If anything, it’s really the kiss of death. It’s almost better when you don’t have a hit. 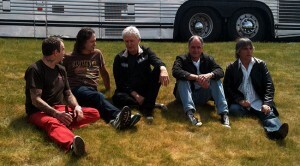 I would like GBV to be known as a band that did it our way. We didn’t jump through hoops or do anything we were embarrassed about to get that hit. We let the chips fall where they may. For the most part, we’re critically acclaimed. I think that’s more important anyway. You’re on the bill [in Cleveland] with Cobra Verde. Is that going to be a battle of the bands or you guys friends again? I think we’re friends. I think initially there were some hard feelings. We have friendships with Doug [Gillard] and John [Petkovic]. I don’t know about Dave [Swanson] and Don [Depew]. I haven’t seen them in a long time. We don’t hold grudges. All’s fair. It’s pretty cool that those guys had a role. Doug Gillard played a huge role in keeping GBV going. How could you be upset with that guy? Are you a better band now than you were back in the day? No doubt about it. I can answer that real, real quick. It’s beautiful to have an opportunity to come back and do something better than you did it the first time. Being more mature has helped. The songs Bob is writing have a more mature sound. There’s more love in the band, just as far as the vibe goes. We get along better and appreciate each other more. A lot comes with getting older. In every way this band is so much better. Do you really have another album already in the works? This weekend, we’re doing into the studio to record. We have ten songs to record and some other things to record. Looks like it will be a double album called English Little League. Is Bob’s British accent more or less pronounced now than it used to be? You have rabid fans. Who’s the craziest fan you’ve ever met? Shoot, that’s a tough question. There are legions of people. This whole fest in Dayton every year is an example. People come from outside the country. We’re talking diehard Guided by Voices fans. If Guided by Voices had a color, they would be bleeding it. It’s hard to single out any one individual. We do have people who think we’re the greatest band in the world and who am I to argue with them.